Despite the hype around 5G, the next big speed race around mobile is going to be around "Gigabit Class LTE," and Sprint Corp. (NYSE: S) kicked it off at the Smoothie King Center in New Orleans this week. 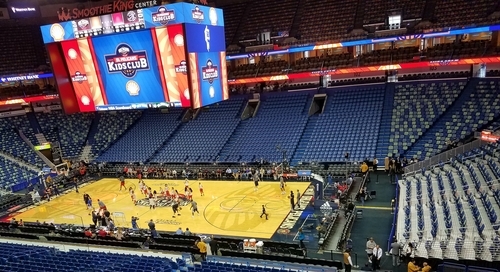 Sprint, Motorola, and Qualcomm use a stadium in New Orleans to demo "Gigabit Class LTE." Getting to Gigabit isn't purely about MIMO on the network or in your smartphone though. Sprint is already deploying bonded 2.5GHz radio channels -- known as 3-carrier aggregation (3CA) -- to get 60MHz channels, which increase speed and capacity, in some markets. "We are looking at 4CA and 5-channel carrier aggregation," Sprint CTO John Saw said.